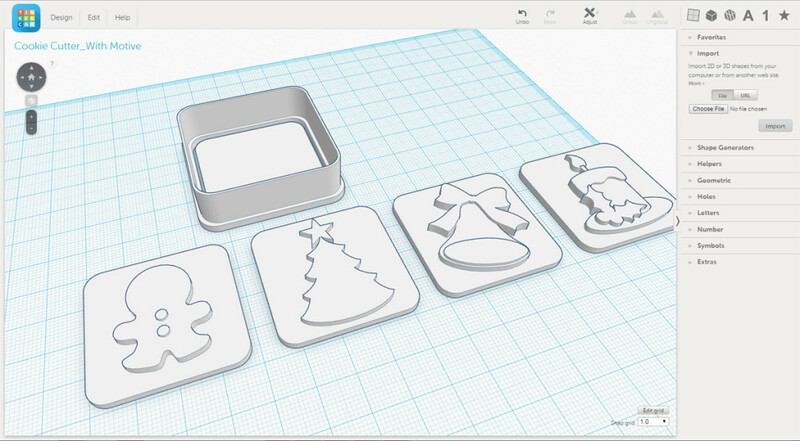 About a year ago, I published a tutorial on how to create 3D printed cookie cutters with seasonal motifs. While that tutorial proved very popular it had one shortcoming in the sense that it required you to have the Rhino software package in case you wanted to follow the step-by-step instructions. 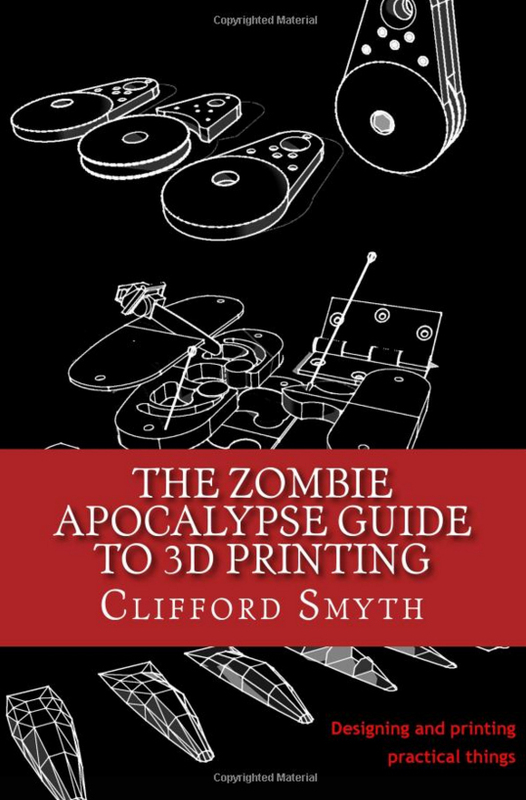 Hence why I decided to create new instructions but this time using free, open-source software 3D modeling software. Follow along and create your own unique and customized cookie cutters. 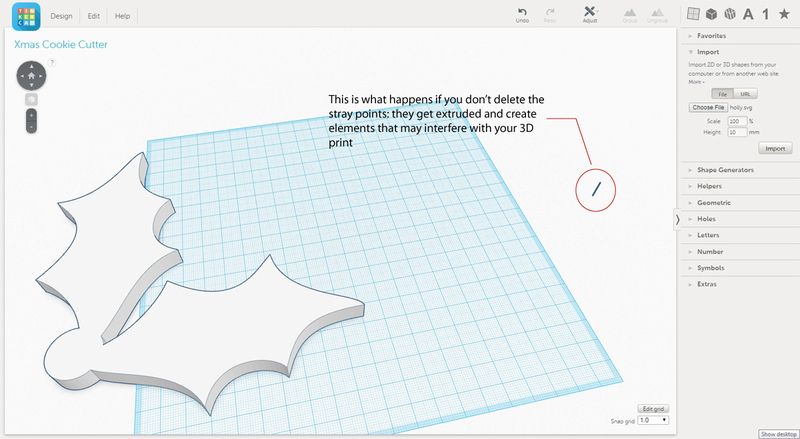 I used TinkerCAD, a free browser-based CAD tool to do the 3D modeling. In case you have never used TinkerCAD before I suggest you create an account and work through some of the tutorials. This will allow you to get a handle on the basic functionality such as copying & pasting, basic drawing, camera controls and so forth. The tool is very easy to learn, in fact, I used it for the first time while creating this tutorial. Designing the actual motifs to be printed in the dough. Though TinkerCAD comes with a set of pre-loaded shapes it does not contain any square with rounded edges, the type of shape we need for the cookie cutter. 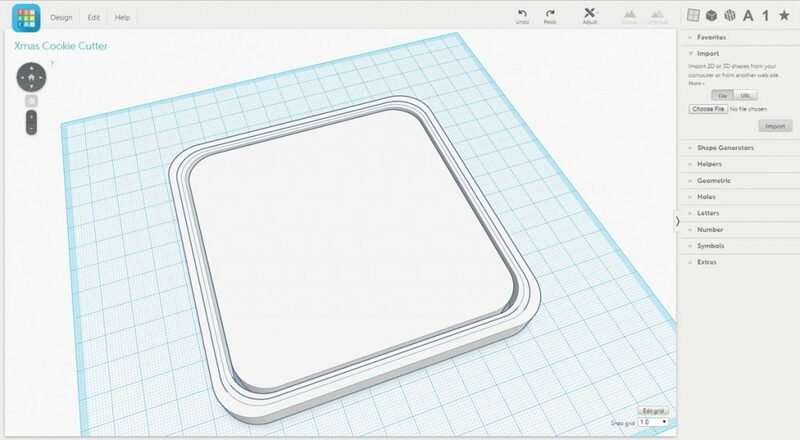 Overall, some of TinkerCAD’s functionalities are a bit limited when it comes to creating specific geometries such as rounded corners for example. 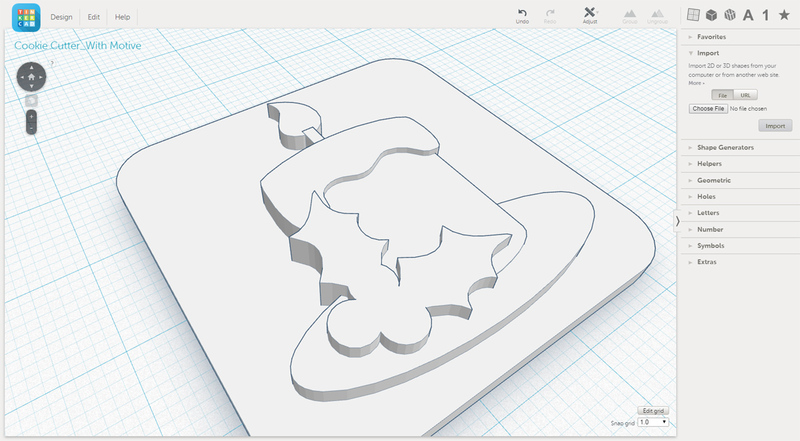 However, the good news is that you can easily import .svg files into TinkerCAD. Scalable Vector Graphics (SVG) is an open standard, XML-based vector image format. This means that you can prepare your designs in 2D before loading them into TinkerCAD where you’ll transform them into 3D files. You can create .svg files with any vector graphics programs such as Adobe Illustrator or one of the free alternatives such as InkScape or similar. For this tutorial, I used Illustrator. DOWNLOAD THE COOKIE CUTTER 3D MODELS! Just complete this form to download a zipped file containing all the cookie cutter 3D models! Click here to download the 3D model files. It all starts with a very basic shape: a square of 40 x 40 mm (do not worry too much about the exact size right now, everything can still be scaled later on). Round the corners by 5 mm and copy the shape 4 times and scale one copy to 38 x 38 mm, one to 37 x 37 mm, one to 36 x 36 mm (keep one copy at the original size). Give each shape a different color and stack the 37 x 37 mm shape on top of the 38 x 38 mm shape and align them. Then use the Pathfinder/Exclude tool to subtract both shapes. This leaves you with a 1 mm wide shape that will later be extruded to become the frame that actually cuts the dough (hence the width of only 1 mm, to give it a sharp edge). Since the shape that you just created will have a wall thickness of only 1 mm thick once extruded, it would be very flimsy. To give it more stability, we’ll add a reinforcing frame to it. In order to so, take the 36 x 36 mm shape and place it on top of the 40 x 40 mm one. Repeating the Pathfinder/Exclude action you are now left with a frame that’s 4 mm wide. As a last step, scale the remaining shape to 35 x 35 mm. This will become the base plate that holds the motifs. You now have three distinct shapes, save each one separately as a .svg file. 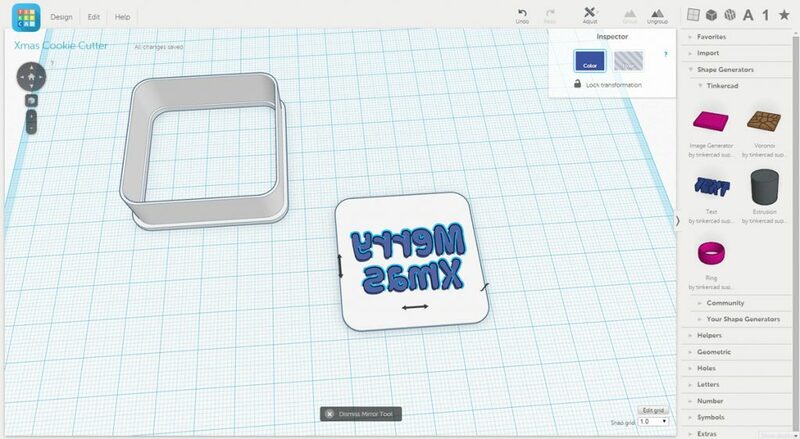 In TinkerCAD, create a new project and import the two frames into the work view by using the Import/File command in the top right hand corner of the screen. Select the thick frame and reduce its height to 2 mm. Select the thin frame and extrude its height to 14 mm. Select both objects and group them. Now import the base plate file and reduce its thickness to 2 mm. Select both objects and scale them to a size of around 45 x 45 mm. Tip: hold down the Shift key during resizing in order to re-size all objects uniformly. That’s it, part 1 of the design is complete! Now that the basic cookie cutter is ready, it is time to create some motifs that you can use to imprint the dough with. This is a quick and easy way to customize your cookie cutter. 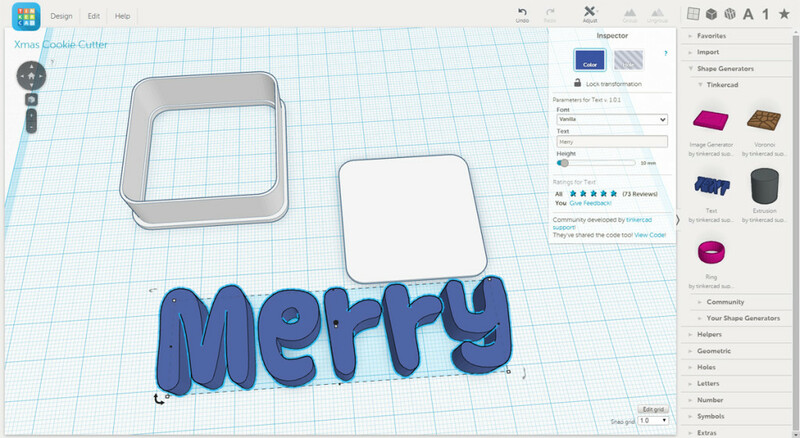 Select the text tool under: Shape Generators/TinkerCAD/Text. Place the default text onto the base plate. In the Inspector window, replace the default text with your desired text and reduce its height to 2.5 mm. For this particular example, I used two words, Merry Xmas, such that I created a separate text element for each word. In order for the text to be legible on the cookie later on, you must mirror it: use the Align/Mirror function then click on the arrow that appears below the text box. Move the text over the base plate and re-size it until it fits. You may once again want to use the Adjust/Align command to make sure the text sits square in the middle of the base plate. In order to get a good imprint into the dough later on, you want to make sure that the text protrudes some 2.5 mm from the base plate. Use the move function to move the text to the right position but make sure that it will not end up hovering over the base plate. Both elements must be connected in order to get the right 3D print result. Regroup the text and the base plate. Select the Design/Download for 3D PrintingD command from the top left hand side of the window. Select .stl as file format if you want to print the cookie cutter on your own 3D printer. Import the .stl file into the slicer of your choice (I used Cura) and send it to the 3D printer. The image motif is slightly more complex to create, but this is also where you can get most creative. First you need to find a motif for the stamp. Googling for a search term like „free svg files Christmas“ will yield plenty of results to chose from. 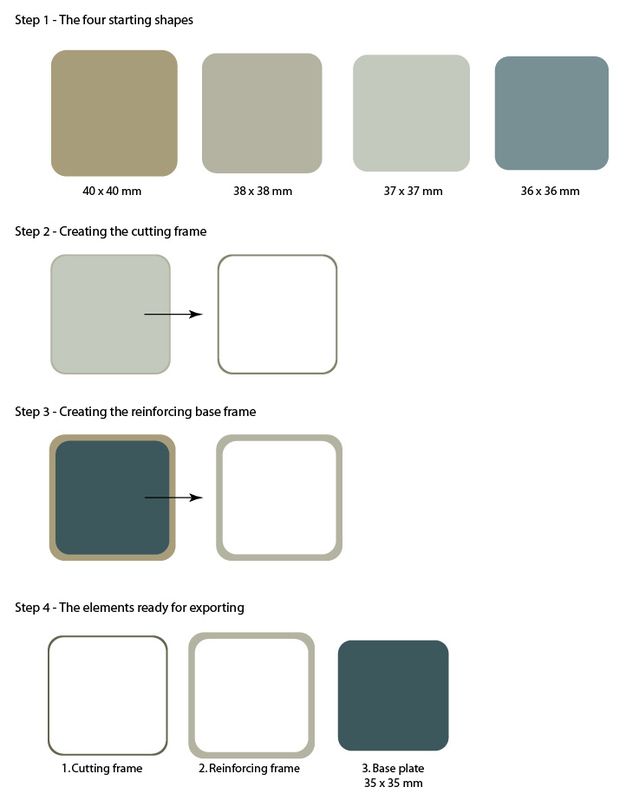 For this tutorial I ended up using some free svg files from svgcuts.com. This one has the most complex design but if you learn how to master this then simpler shapes won’t be a problem! While you could import most svg files directly into TinkerCAD, it pays to open them in your vector graphics program of choice in order to double check it there aren’t any stray points around the design that you should delete. 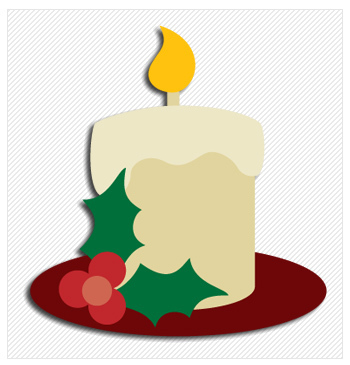 In case of the Christmas Candle svg there is always one stray point somewhat off to the right of any design. Delete this using the direct selection tool in order to avoid importing any unwanted elements into TinkerCAD. The only other modification is to break the candle.svg file into two separate pieces, one for the candle, one for the overflowing wax. Go to TinkerCAD and import all the svg files by using the Import/File command. After having chosen the file to import make sure to hit the Import command. Repeat this until all elements have been imported. If you import the elements at 100% scale they will be way to large for our needs. Go ahead and select all elements and scale them down while holding the Shift key. Now you can re-arrange all the different pieces to recreate the original layout. Once everything is in place, all you have to do is to adjust the different elements to different heights such that they will be distinguishable in relief later on. Start with a minimum extrusion height of 2 mm and make sure to keep at least 0.5 mm of difference between the different elements. Once extruded, regroup all parts by using the Group command. Then move the regrouped candle motif onto the base plate making sure that both parts actually connect. That’s it! All you need to do now is to select the Design/Download for 3D Printing command and export the file in .stl format. 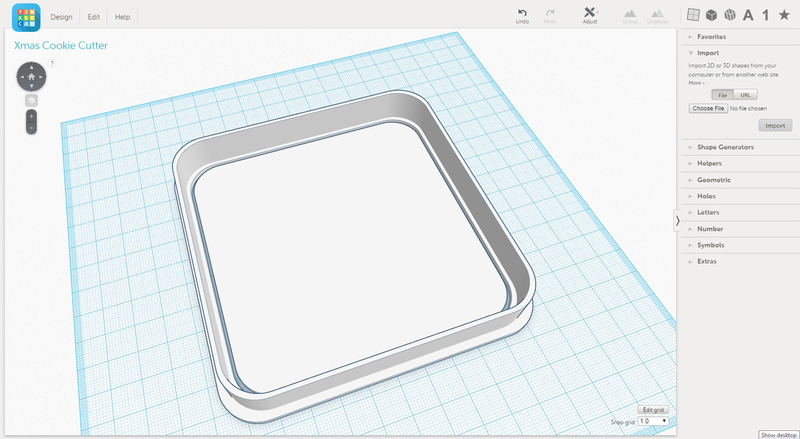 Create the gcode using your favorite slicing software and send everything to your 3D printer. As a final step, we still need to add a handle to the cookie cutter in order to be able to properly hold it when imprinting the motifs into the dough. 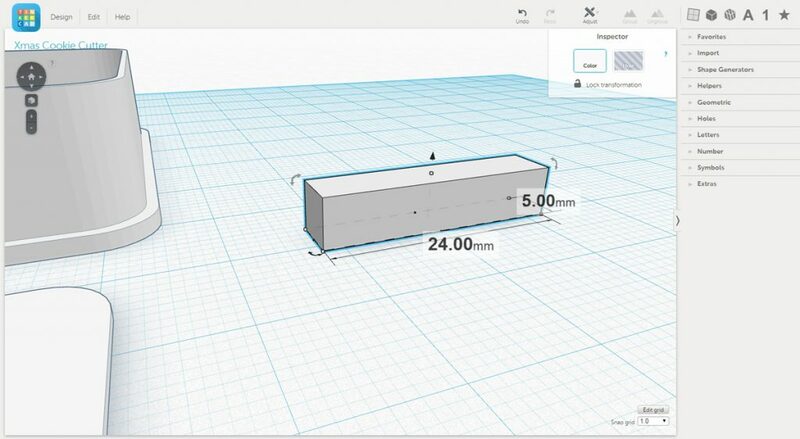 In Tinkercad, place a box shape into the work area and scale it to 24 mm length, 5 mm width and 5mm height. Export the .stl into the slicer of your choice and multiply the design to the number of handles that you need. 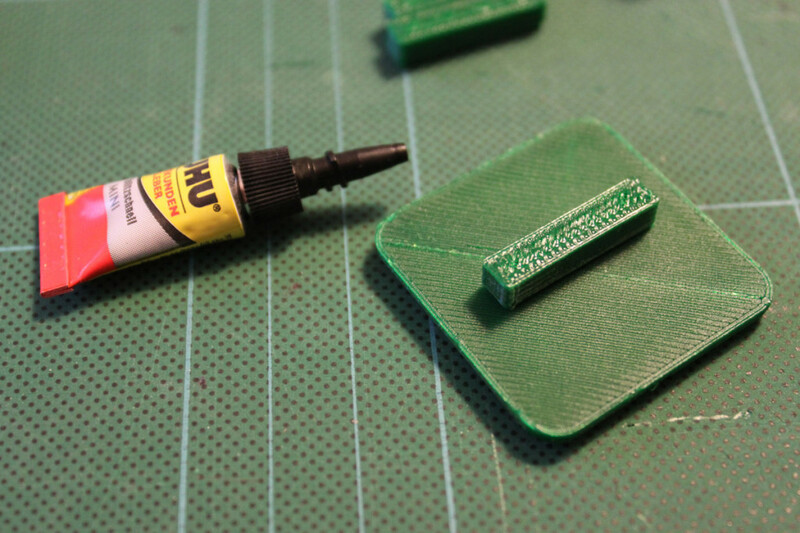 Once printed, add a couple of drops of super glue and attach the handles to the back of the base plate. Now the cookie cutters are ready to use! Go ahead and prepare your favorite cookie dough. Roll the dough flat and start cutting out the cookie shapes with the cookie cutter frame. Slightly powder the stamps with flour to make sure they don’t stick to the dough. Now comes the fun part: take the stamps and start imprinting the motifs into the dough. Fill up the baking tray and let the cookies bake golden brown in the oven. Enjoy! 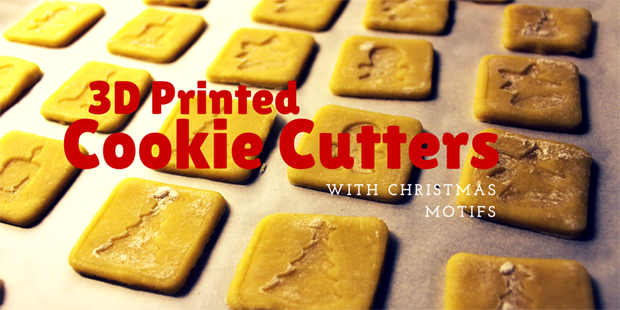 I hope this tutorial inspired you to try and create some 3D printed cookie cutters on your own. Feel free to download the .stl files in order to get a head start! Thanks so much for this posting. 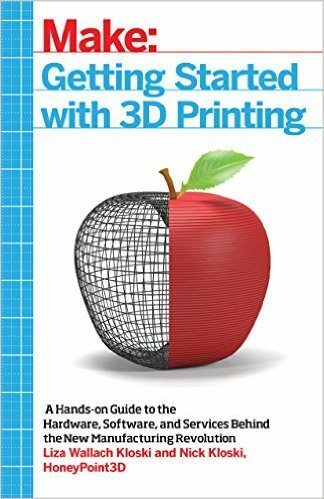 We are getting started with 3D printing at my high school library, and I have been looking for ideas to get people designing. I have taken the liberty to adapt your tutorial (with credit) as follows: https://docs.google.com/document/d/1lBL67Rw6M93i2YNsTHtryJxWOAsN2lxTuuRgRoVIWpI/edit?usp=sharing I hope you are okay with this adaptation. I am working from home, so will get to actually print the cookie cutters when I am back at work on Monday. Great to see that you have taken our tutorial and build on it. 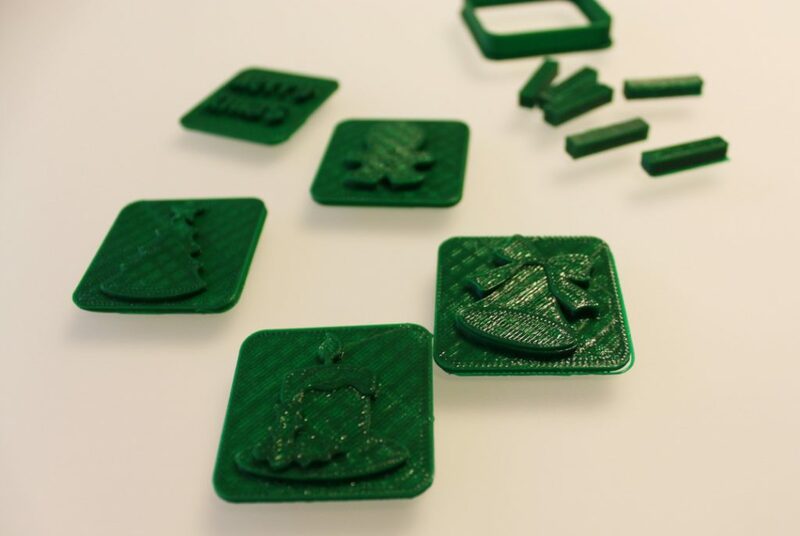 Let us know how you are getting on once you printed the cookie cutters! Love this simple tutorial. I’m actually using Autodesk’s Fusion 360 and just needed to know the basic parameters for cookie cutters so I can customize them myself but learned a lot more. Thanks!